Legislation to expand Hawaii’s medical cannabis program has been passed by its initial Senate committee; it’s already passed the full House of Representatives. House Bill 1488 was reported out of the Senate Commerce, Consumer Protection, and Health Committee today. Earlier this month it passed the full House of Representatives. Limits each location used to cultivate marijuana to use by five qualifying patients. Authorizes primary caregivers to cultivate marijuana for qualifying patients until December 31, 2020. Adds considerations for establishing marijuana testing standards and selecting additional dispensary licensees. Allows DOH to consider whether existing dispensary licensees shall be allowed to increase plant count, increase the number of production centers, or increase the number of retail dispensing locations. Requires retention of video security recordings of production centers and dispensaries for 45 days. Extends civil service exemptions and interim rulemaking authority to 2020. 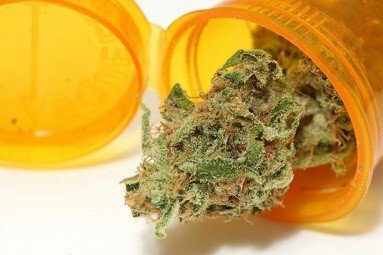 Authorizes an alternate medical marijuana dispensary tracking system for use when the DOH computer tracking system in nonfunctional and requires DOH to report to the legislative oversight working group. A similar measure (Senate Bill 174) to add lupus, epilepsy, multiple sclerosis, arthritis and autism as qualifying medical cannabis conditions recently passed Hawaii’s Senate and its initial House Committee.